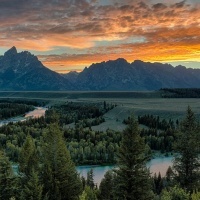 After a day trekking the Tetons or exploring Yellowstone, see what else Jackson has to offer after the sun goes down! 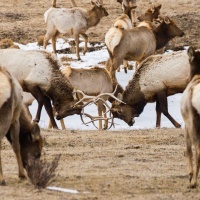 Jackson Hole is known for our world-class skiing, insane climbing, miles upon miles of wilderness and hiking, along with wildlife at every turn. But what about when it’s time to bring it in for the day? A lesser known aspect of Jackson is the nightlife and activities you can embark on with family, friends, or even a vacation date night after the “day” is done. One of our favorite things to do with the family on the weekends or just an evening to get together is good ol’ bowling! Our newly renovated lanes at Hole Bowl offer 8 public lanes as well as 2 private lanes that can be reserved. Hole Bowl also offers arcade games and a bar and restaurant so there’s really something for everyone. Wyoming offers up some of the darkest skies in the lower 48 with minimal light pollution making for some of the best stargazing around! Take to the skies on your own or with a program. Wyoming Stargazing offers free programs every clear 2nd Friday of the month. If you aren’t here that particular day, Grand Teton National Park offers summer programming or you can just head north out of town and look with the naked eye and discover new things everywhere you look. A great way to take in the less seen in Grand Teton National Park is a sunset kayak on String Lake paired with a pizza on the patio at Dornan’s. String Lake is a mere 5 feet deep in most places and the water is crystal clear. Opt to paddle downstream, or just float and take it all in. There’s really no wrong way to do it. Kayak rentals can be found in the park and in town, a great option for this area would be Adventure Sports, located just across the parking lot from Dornan’s! 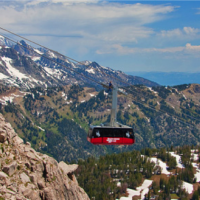 One of our favorite parts of summer is the Jackson Hole Live! music series that takes place on most Sundays throughout the summer months. Bring a blanket or camp chair and join us on the softball field lawn for a different band every week. Local breweries bring some beverages on tap and there’s a plethora of food to choose from. Dancing, hooping, or just enjoying the summer air makes for fun for all ages. A new gem to hit the summer scene in Jackson is Orijin Media’s Summer Concert Series at the Anvil Hotel. An alternative event that offers a different band every week, join them on Tuesdays throughout the summer. On your way, stop at Jackson Drug for an agelessly yummy milkshake just down the block! Get a different view of Jackson while skiing down Snow King after dark! The only location that offers mountain access well after the sun has set. Truly a one-of-a-kind activity while never even leaving town. 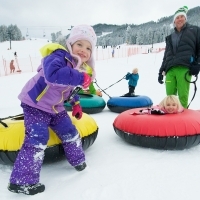 For the evenings opted for non-children activities, contact Jackson Hole Babysitting – they’ll come to you! Something that might not be well known about Jackson is the nightlife! Between a diverse selection of dinner options all within walking distance to the Town Square, the possibilities are endless. Between Salsa night being offered every Thursday, to the comings of bands both widely known and just getting started – there’s always something happening at the Garter. When looking for music selections outside that of the Wild West we’re known for, the Rose is the place to be. Their crafted cocktails are a must try, too! Housed in the Wort Hotel, the Silver Dollar has been around since the early days of Jackson itself. Live music is offered at least three days out of the week so bring your dancing shoes, you might be only one not on the dance floor if you leave them at home. Saddle up for this adventure. Pull up to one of the saddles at the bar or swing on down to the dance floor. 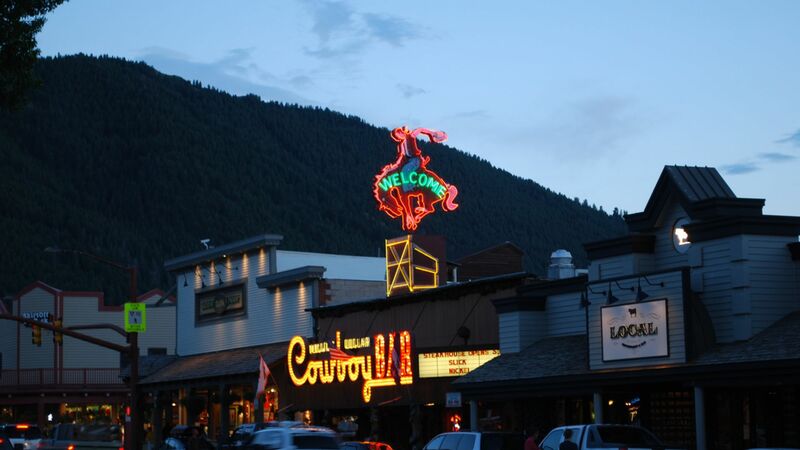 The Cowboy is iconic to Jackson and a definite must see while you’re here. The Stagecoach, while off the beaten path, is a Jackson classic. The Stagecoach band has been playing every Sunday for the last 40 years. The Hootenanny located at Dornan’s at the entrance to Grand Teton National Park is something unique to the Wild West. You can grab a pizza or mosey up to the all-you-can-eat cowboy dinner, then pick a spot on the green and enjoy the band while the sun sets behind the Teton peaks. Every Monday from 6-9 pm. The Mangy Moose is another Jackson classic. Similar to its name, it’s nothing fancy but it’s always a great time. The Moose usually has live music playing throughout the ski season. Ski attire allowed – expected, even. Need to catch a game on tv, or the latest blockbuster – we really do it have it all. Catch the game at Eleanor’s Bar or Sidewinders, our two (delicious) sports bars just off Broadway. There’s also two family-owned movie theatres to catch the latest movies showing to complete an evening of dinner and a movie. From hiking and fishing to dancing – Jackson really does have something for everyone, anytime. Join us any season and see why we all call this place home.